[두테르테 방한] 투테르테-문재인, 용감한 두 남자의 정상회담? 로드리고 두테르테 필리핀 대통령이 3~5일 한국을 국빈 방문합니다. 이번 방한은 문 대통령이 지난해 11월 아세안+3 정상회의 참석을 계기로 의장국이던 필리핀의 두테르테 대통령을 초청한 데 따른 것입니다. 두테르테 대통령의 방한은 문 대통령 취임 이후 ASEAN 국가원수로는 첫 번째입니다. 4일 정상회담에선 양국 교역과 투자 확대 등 실질 협력방안이 논의될 예정입니다. 나는 이 말을 되새기며, 국가의 적폐를 해소하기 위해 노력해온 용감한 두분의 첫 정상회담을 기다리고 있습니다. 촛불혁명 이후 선출된 문재인 대통령은 한국의 복잡한 외교문제를 해결하기 위해 앞장서 왔습니다. 문 대통령이 아랍에미리트를 방문해 얽혀있던 외교문제를 해결하고, 남북 정상회담을 이끌어냈습니다. 특히 북한과 미국 사이의 중재역할을 멋지게 하여 자칫 결렬될 뻔했던 북미회담의 불씨를 살리는데 크게 이바지했습니다. 나는 그에게서 용감한 외교투사의 모습을 봤습니다. 문재인 대통령은 6월 3일 필리핀의 로드리고 두테르테 대통령을 한국에 국빈 초청하였습니다. 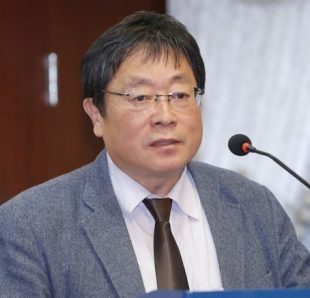 필리핀은 대한민국을 주권국가로 인정한 다섯번째 국가이며, 한국이 아세안 국가 중 처음 관계를 맺은 나라입니다. 그 후, 두 나라는 모든 분야에서 성공적인 외교관계를 맺어왔습니다. 문재인 대통령이 한반도와 국외에서 외교전쟁을 치르는 동안, 두테르테 대통령 역시 부패가 만연한 필리핀에서 마약과의 전쟁을 시작했습니다. 그는 임기 6년의 초반 2년을 부패와 불법 마약 척결에 힘쓰고 있습니다. 서울 아시아기자협회 본부에서 열린 총회에서 아자 회원들은 만장일치로 로드리고 두테르테 대통령에게 2017 AJA상을 수여하기로 결정했습니다. 이로써 두테르테 대통령은 세계 언론인들이 인정하는 권위 있는 상을 받은 두번째 아시아 대통령이 된 것입니다. AJA는 새로운 역사를 만들어가는 용감한 두 남성의 정상회담을 환영하고 적극 지지합니다. I recall this saying as I am waiting for the first summit between two brave men who knock strongly the doors of their nation’s history. But the whole world was following President Moon’s recent brilliant move to North Korea for holding a surprising summit with the North Korean leader Kim Jong Un. Their first summit ever set hopes for the Korean Peninsula, expecting a happy beginning in the US-Korea proposed summit in Singapore with the US President Donald Trump. But the latter announced the cancelation of the meeting and clever Moon moves to US and NK returned it to the right track. 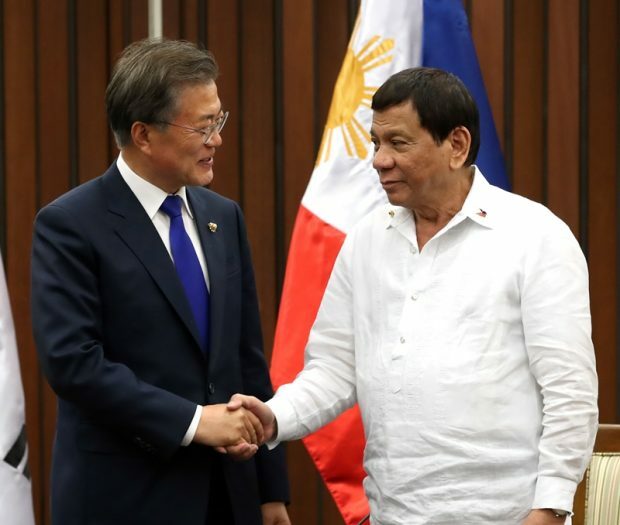 This busy schedule was not an obstacle to have another brave man of state welcomed in Seoul, as Philippine President Rodrigo Duterte was invited by Moon to an important meeting in the Blue House (June 4). 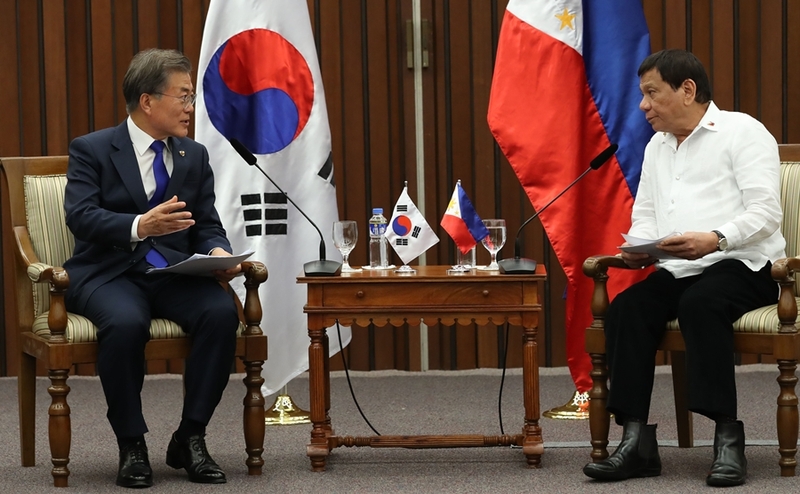 Bilateral relations between South Korea and the Philippines were established on March 3, 1949 upon the recognition of Republic of Korea as a sovereign state by the Philippines. The Philippines was the fifth state to recognize the Republic of Korea and the first ASEAN country to establish relations with South Korea. The strong stand of the Philippines to the South Korean has been strengthening across the decades. The two countries continued to witness flourishing mutual relationships, in all fields. Away from the diplomacy battle President Moon fight in the Peninsula and abroad, the Philippine President Rodrigo Duterte has his own battle inboard against corruption. Considering corrupted individuals are the nation’s enemies, Mr. Duterte has been determined fighting against corruption and illegal drugs as the cornerstones of his six-year term. During our last Asia Journalist Association meeting in its Seoul HQ, all members agreed upon giving Mr. Duterte 2017 AJA Award as an appreciation for his socio political actions to serve his own people. Mr. Duterte will be the second Asian president to get the prestigious award approved by the world journalists in the biggest continent. Winners of AJA award 2016 were the president of Indonesia Joko Widodo, Korean filmmaker Lee Joon-ik, Korean-Filipino member of National Assembly Lee Jasmine. In a world suffering of war, it needs a brave man to bring peace, and in a life polluted by corruption it needs a brave man to stop it. AJA is welcoming the summit of two brave men making a new history.